Last weekend I was visiting my Mom who celebrated her 87th birthday, and she was showing me the beautiful pictures that she has colored, intricate pictures with many details. Coloring is her new hobby, she says, and it is becoming a popular past-time for more than just children. I have another friend who is my age that also enjoys coloring. Years back I asked for crayons and coloring books as a gift, before adult coloring was a popular as it is now, and I got them both. I didn't want grown-up adult coloring books, but the "easy" kind that children would enjoy coloring, but ended up with both and found that each had their own advantage. Coloring transports me back in time to childhood days and happy memories. I love coloring animals in particular, because I am an animal lover. My mother prefers coloring flowers, and has markers that that she colors with, fine tipped markers especially for coloring and perfect for the small spaces that she fills with color. 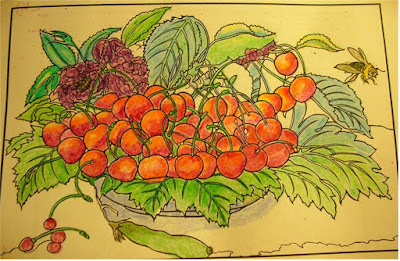 So it is not only quilting or crocheting that brings relaxation and pleasure, but the simple act of coloring. 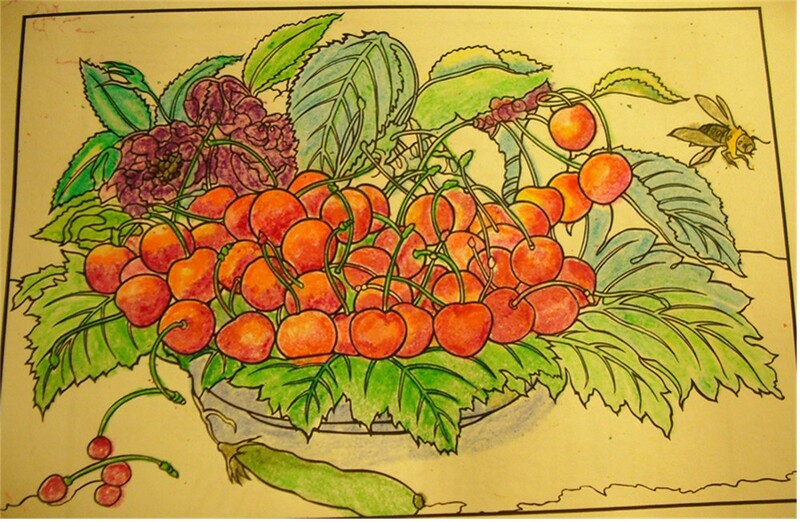 Have you discovered the relaxing benefits of coloring as an adult?